‘Impossible’ is a word that often crops up when you’re disabled. Whether you’re thinking it yourself, or society’s throwing it your way, there’s so much that seems out of reach. But that’s something that Saba Salman wanted to challenge. She’s in the process of compiling a new book, Made Possible, to change attitudes towards disability. Directed towards a mainstream readership, Made Possible holds a world of opportunity for the public – alongside a personal connection for its creator. “The main inspiration for Made Possible is my sister, Raana, who has the learning disability fragile x syndrome. I find it incredibly frustrating, for example, that while Raana’s friends, family and support staff define her by what she can do and what she has the potential to achieve, society labels her in terms of her diagnosis and support needs,” explains Saba. Raana is an extremely talented artist and her work has recently been selected to represent this year’s Centre for Disability Research conference. Her skills and passion come before and beyond her disability. This is the main concept for Made Possible, which is a collection of essays drawn from Saba’s connections. Many traditional texts focusing on disability, be it physical, sensory or learning, are factual in a medical or academic context. Made Possible is set to change this narrative by appealing to a wider audience in a bid to open the world of creativity, talent, varied skills and experiences to the general public. There are 1.5 million people in the UK who have a learning disability, and each one has a talent that may be underrepresented. Made Possible details experiences that can change opinions, and inspire a younger generation. 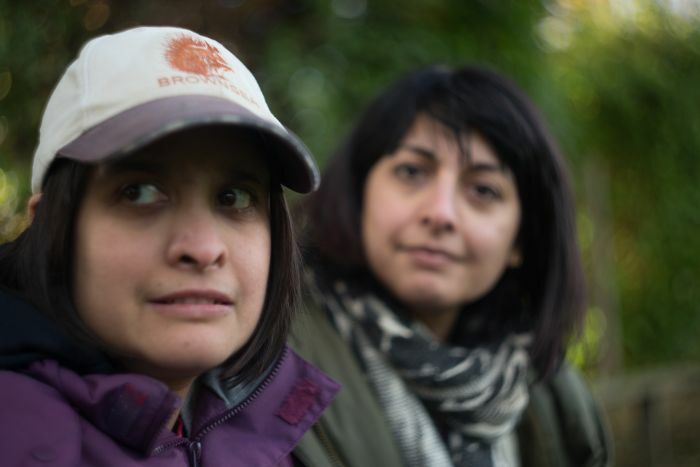 “Public attitudes and general media coverage of learning disability means that people, like my sister, are either seen as superheroes or scroungers; celebrated in a patronising way for their achievements, or treated as a burden on the state,” explains Saba. Currently in the writing process, Made Possible does not yet have a release date, but the excitement is building for the finished product. Contributors are currently writing their essays, and Saba believes each tale will complement the next. Does she have a favourite? “We haven’t finished all the essays yet, so it’s impossible to select a single one. Having said that, the collection will feature such a diverse mix of stories, that I can’t imagine picking one above the others. The strength of the book comes in the variety of experiences shared,” adds Saba. Success is different for everyone, and now the learning disabled community has the opportunity to revolutionise thinking. 2012: The Year of Disability? Be the first to comment on "Changing attitudes"